Easily the smallest u.s. Automobile on the market, the american austin should have been the right car for the great depression. An energetic promotional campaign featured ernest hemingway, al jolson and buster keaton among its customers. But americans werent ready to think small just yet especially since they could buy a ford or chevy for about the same price. Before the beetle the company was founded in 1929 to build austin sevens under license. The mechanics of this british model, including the 748cc four-cylinder engine, were unchanged, but the bodies, inspired by the bugatti type 55, were new. 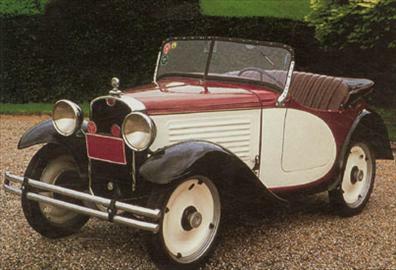 American austin models mostly coupes but also a roadster, runabout and cabriolet were 28 in. Shorter and 16 in. Narrower than any other american car. The american austin may have been the first u.s. Production automobile with its battery under the hood. road to ruin american austin neyer topped its first-year production of 8,558, and fewer than 20,000 were built in all. Despite valiant efforts and infusions of capital, the firm filed for bankruptcy in 1934. production continued a little longer under roy evans, who bought the company and eventually turned out an improved model under the name american bantam. Inspired by the bugatti type 55, the american austin was adorably cute, but it did not sell very well.